Initially, Tree is a non-editable component. But you can easily make Tree editable by extending it with a special class - EditAbility. 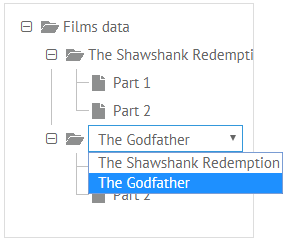 Create a new component and inherit it from ui.tree and EditAbility classes. By default, editors are opened on a single click. 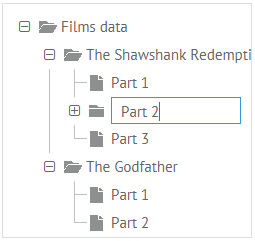 There are various types of data editors in the Webix library. You can use any of them in different components. To get more details read the article Data Editors. To deny editing specific items, branches, levels etc. you can use the onBeforeEditStart event inherited from EditAbility. The event fires right before the user opens the editor and gets the id of the edited item as a parameter. To deny editing of a item, return false for it within the appropriate event handler.